Some people head to Las Vegas to party and go wild; others plan a trip to the desert for a spa vacation. We can help you with both! Whether your budget is big or small, you can’t go wrong with one of these choices for a Las Vegas spa vacation. Check out our full list of Vegas spa vacation packages here. The Wynn Las Vegas is a stylish hotel with a fusion of Mediterranean and Asian decor. The floors boast floor-to-ceiling windows and spacious layouts. The Spa at Wynn is the first spa in Vegas to receive a Forbes Travel Guide Five-Star Award. It has maintained this award every year it has been open! Here you can enjoy many treatments, a sauna, plunge pools, and relaxing loungers in the sun-lit atrium. 3 night stay + 2 custom massages starting at $853/pp. The Spa at Aria Resort & Casino features two stunning floors. In addition to skin care and massage rooms, the spa offers ashiatsu, couples’ massage, thai massage, facials, hydrotherapy and Vichy rooms. The spa also offers Japanese stone sauna beds. To get some extra use on these unique loungers, book a “ganbanyoku” treatment. This will help to relax muscles, improve blood circulation, increase metabolism, and eliminate toxins from your body. 3 night stay + 2 custom therapeutic massages starting at $1,053/pp. The Bathhouse Spa at Delano features steam rooms, saunas, and 12 treatment rooms for a variety of services including massage, wraps, and facials. Day passes are available for this popular spa. With a day pass you will have full access to the Redwood Sauna, heated whirlpools, the Relaxation Lounge, the BATHHOUSE gym, Eucalyptus Steam Room, and more! 3 night stay + 2 custom massages starting at $532/pp. AWAY Spa is located on the second floor of W Las Vegas. Choose from a large menu of signature spa treatments that will rejuvenate you for a night out on the strip, if you so choose. The spa menu includes treatments like anti-aging facials and purifying body wraps, as well as Swedish and deep-tissue massages. 3 night stay + 2 Swedish massages starting at $559/pp. Reliquary Spa at Hard Rock Hotel Las Vegas feels like a “vacation from your vacation”. 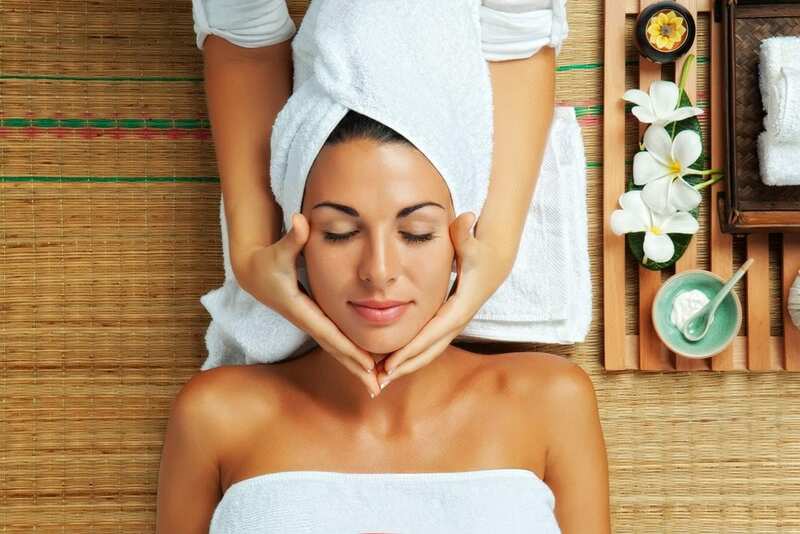 Book from a variety of spa treatments and make a day of it with the numerous spa amenities. You’ll get an all-access pass to Reliquary’s soothing and stylish ambiance and amenities including a sauna, whirlpool, and several places to chill out. 3 night stay + 2 Rock Star massages starting at $398/pp. Escape to the land of relaxation at the 30,000 square foot, world-class Spa Mandalay. You can either book an individual spa treatment, or purchase a day-pass to enjoy the spa for a full or half day. You can also purchase 3 and 5-day passes to enjoy all of the spa amenities. 3 night stay + 2 custom massages starting at $471/pp. Call us today at 402-281-3022 to book your own spa vacation getaway!